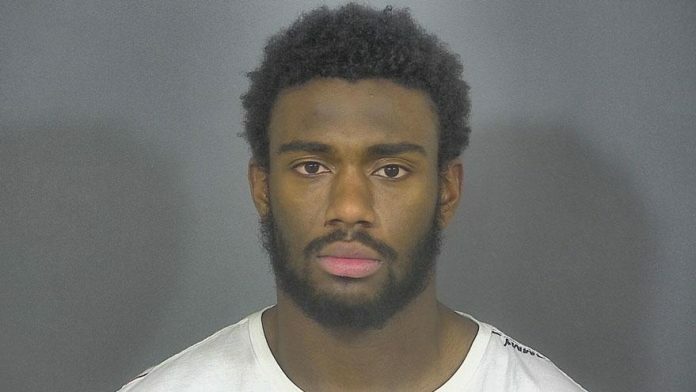 Notre Dame Wide Receiver Javon McKinley has been arrested. The 20-year-old junior was taken into custody by Notre Dame Security Police just before 5 a.m. on Sunday, Feb. 10, after officers tried to help McKinley out of an Uber car and unto his dorm room, according to 95.3 MNC’s reporting partners at ABC 57. The officers smelled alcohol and said McKinley was not steady on his feet, ABC 57 reported. when they got to the dorm, McKinley struggled with the officers and punched them. On Monday, McKinley was charged with two counts of battery resulting in bodily injury and one count of illegal consumption of an alcoholic beverage. Read more about the incident in the original story from ABC 57. Seems to me he was going to get away with illegal consumption of alcohol until he got violent. Seems to be a pattern with Note Dame athletes. These are grown men and need to be taught they need to act like men, especially when some athletes would love to play at Notre Dame and follow the rules but were not quite as good. Guess when you are a better athlete you can break the rules as long as you play good.